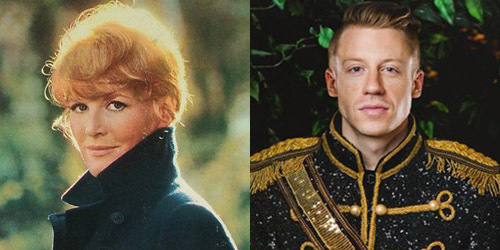 If you’re a big fan of Macklemore & Ryan Lewis, you likely know that their track with Ed Sheeran, “Growing Up”, is at six million plays on YouTube and two million streams on SoundCloud, where you can download it for free. With a substantial total through both services, radio has also welcomed the track, launching it into the top 40 at two different formats without any sort of paid sales data or a large airplay push. That strategy is most likely in place due to the official first release (and second overall single) from the duo’s forthcoming set, titled “Downtown”, going to radio next week. As Mark Ronson and Bruno Mars‘s “Uptown Funk” was climbing the charts, I revisited all the “uptown” titles to rank on the radio, so I figured that it was only fitting to do the same for the “downtown” titles. No matter which way you’re headed, there is a great list of music to enjoy. Let’s travel on and examine the picks of the pop radio listing, shall we? If the 2015 “Downtown” doesn’t become a classic, we’ll always have this one to look back on. English singer Clark just turned 22 when her first U.S. single entered the charts and it was a smash, spending two weeks at #1 in January 1965. “My Love” followed it to the top for two weeks in 1966. She last reached the Hot 100 in 1981. Clark’s signature song was parodied by comedy star Allan Sherman as “Crazy Downtown”, which became his second and final top 40 hit. It peaked at #40 on the Hot 100 about three months after her song peaked, though it rose to #25 on Cashbox. This “Downtown” title was the third single from the duo’s Ooh Yeah! album, the same one that also gave them their last top five single ever, “Everything Your Heart Desires”. It barely missed the top 30 during the fourth quarter of 1988, giving the two guys their last top 40 hit of the 80’s. They would return in the fall of 1990. You may be asking, who? The late 80’s were full of these kinds of international acts, this trio being from Norway, who landed in the top 40 for a brief few weeks. Though their album and single were successful in their native country, they did very little here, and the trio broke up in the middle of the promotional run for the set. Originally released by Tom Waits on his 1985 album Rain Dogs, several covers of his song charted nationally, including a minor one by Patty Smyth in 1987. Stewart’s version, taken from a greatest hits set, spent one week at the top of the pop radio chart in January 1990 and turned into one of his biggest singles of that decade. After three successful top five radio singles from their It’s About Time album, including the #1 song “Weak”, the female trio out of New York City couldn’t lift their fourth release to the same heights. However, it was a chart-topping R&B hit for seven weeks as one half of a double a-side single with “Right Here/Human Nature”. Brothers Attrell and Jarrett Cordes, originally from New Jersey, comfortably found a place at radio beginning in 1991 with such songs as “Set Adrift On Memory Bliss” and “I’d Die Without You”, taken from soundtrack to the movie Boomerang. By the time this single appeared on the radio charts in 1995, their career was fading.